by H. G. Wells Author · Gary Smith Author of introduction, etc. Wells wrote mainly speculative fiction concerned with the contemporary problems of human society and its possible futures. While his works express a hope in human technology and progress, this is tempered by a realization of the possible extinction of humanity through the very same technology and the predilections of human nature. There is a strong ethical component to his work and this relates to the ambivalence that he often expressed about the potentialities of human nature. One of the central issues that concerned him was the disparity between the elite and the masses. 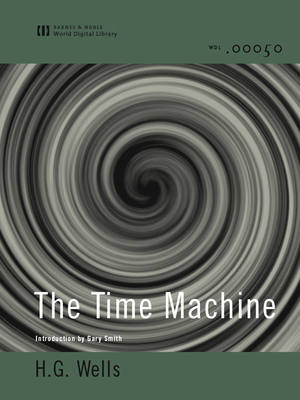 The Time Machine explores these concerns in a setting 800,000 years into the future.